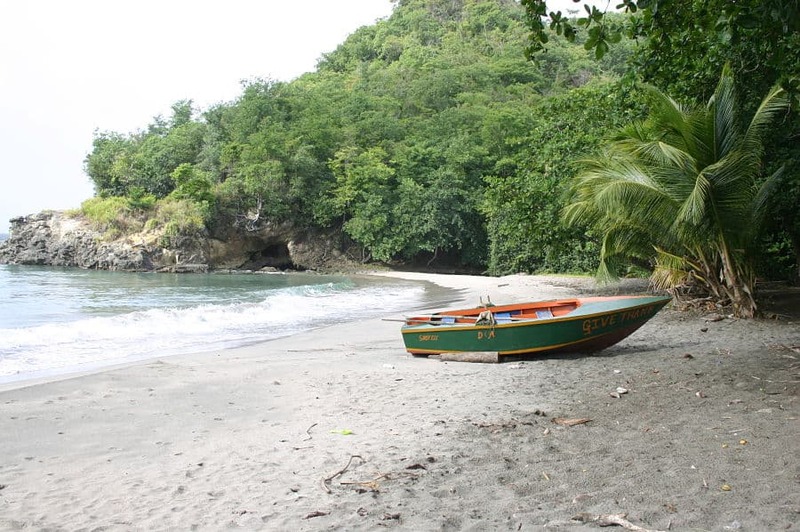 Most visitors to Grenada discover that the island is truly beautiful in many different ways. Whether it’s the rainforest vegetation, the waterfalls and mountains or the beautiful white sand beaches, our visitors usually claim that they have been wowwed by something along their travels. In this post we’re continuing our ‘things to do’ series. Today we’re delving deeper into what to do and where to go for those who love the beach. Accessible by boat only, Sandy Island is one of those truly stunningly beautiful, tropical paradise islands. It was even used as the location for the filming of the UK’s Bounty Chocolate Bar advertisement. You may remember it sometime back but if not, you can see it here. Once you lay eyes on the island, you’ll be feeling very smug and pleased with yourself for taking the fisherman’s boat over to this beautiful spot. No longer inhabited, the island has a deserted building that was once a hotel, many coconut tress and it offers fantastic snorkelling. It’s a ‘must-do’ when you come to visit us. We can arrange your travel over to the island by boat accompanied by a picnic, and fresh fish from your fishing boat ‘taxi’. You’ll be in beach heaven! Read more here. 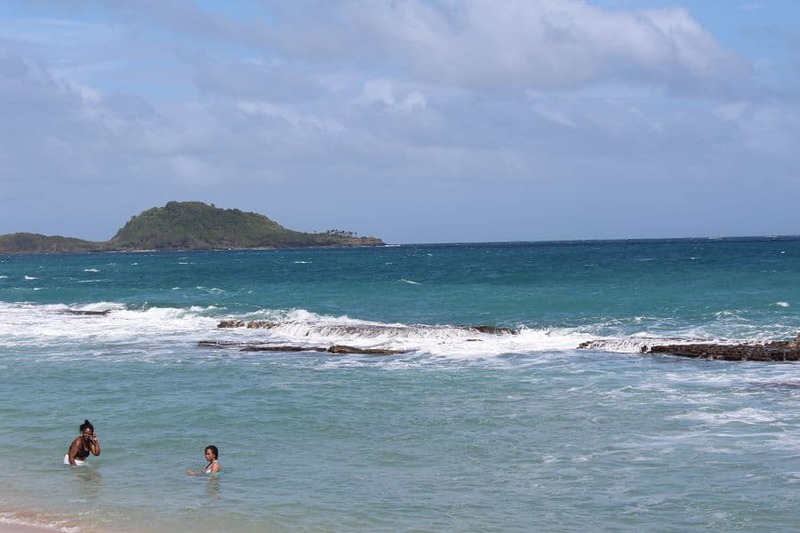 Not far from Petite Anse, this white sand beach is a favourite with Grenadians, A series of rocks provides a natural barrier against any rough incoming waves. There are some trees that will provide you with shade for when you get a little too warm. Be sure to check out Aggie’s, a small restaurant just over the road, at lunchtime for some great Caribbean cooking. 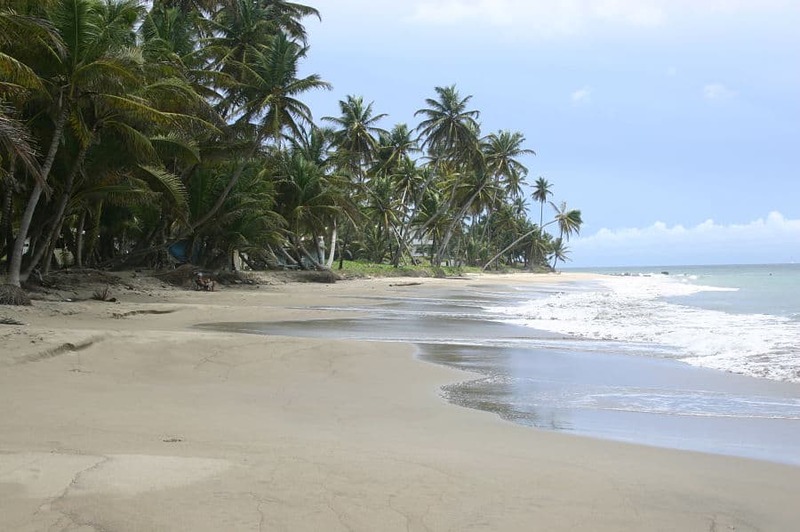 Home to the leatherback turtles, this is a beach that is deceptively long. 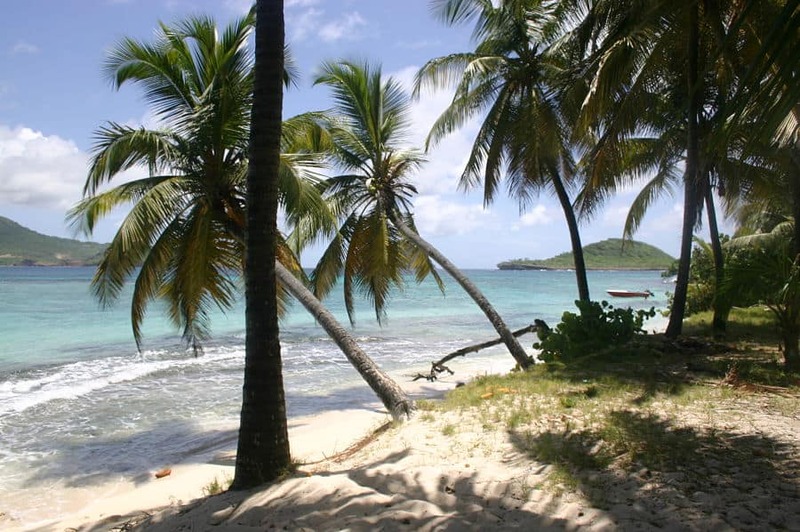 You’ll arrive close to the private Sugarloaf Island which is owned by a successful Grenadian businessman. With a lagoon on your right, keep walking and you’ll turn the corner to see an expansive beach bordered by vegetation and coconut trees. It’s here that the leatherback turtles lay their eggs, so unless you’re outside the turtle season, don’t dig around or build any sand castles. Those babies could be down there ready to hatch and should not be disturbed. 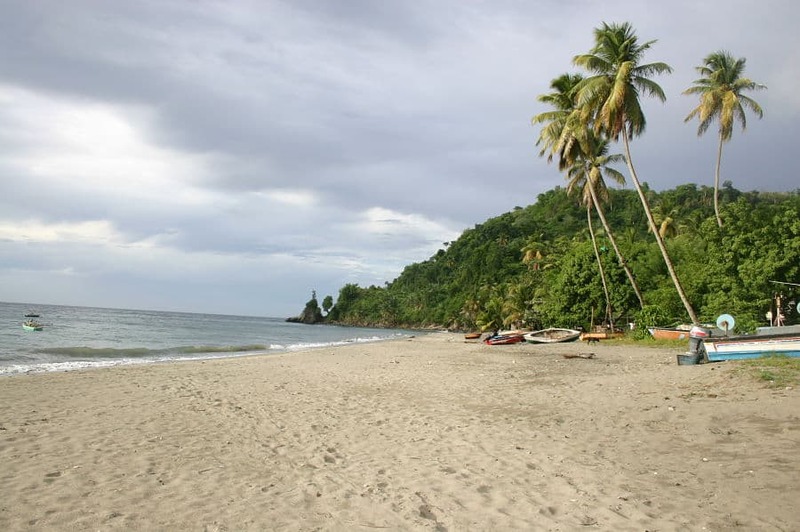 Close to the hotel, you may pass this beach on the way to the town of Sauteurs. It can only be described as ‘beautiful’. Fortunately, it’s mostly deserted. Located parralel to the main road, you may want to bring your camera with you to capture the serenity and it’s picture perfect looks and vista over the Grenadines. 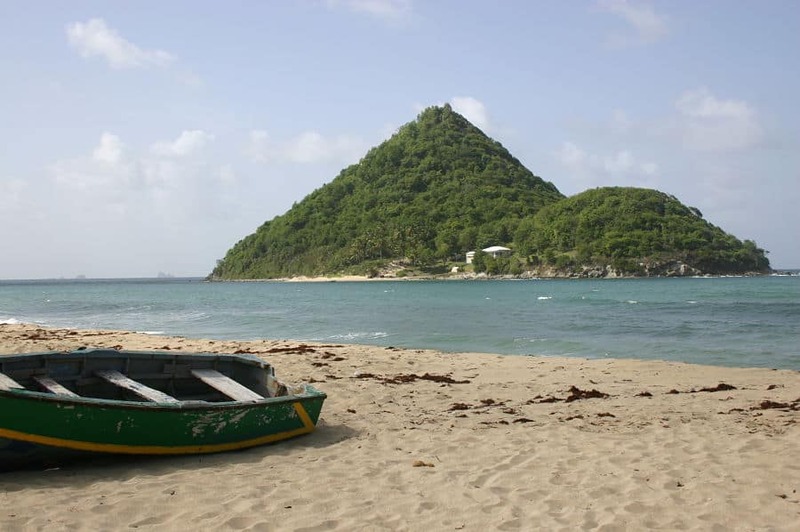 The most well known beach on the island. Be sure to visit for a cocktail or two when you’re down in the south of the island. Over 3km of white sand with views of St Georges, the Carenage, visiting sail boats and motor yachts you can sit back and watch the goings on as you sip on a refreshing drink. This crescent shaped beach has a surprising secret. It is one of the sites of Ameri-Indian hieroglyphics in Grenada. The area was named after a Kalinago (Caribbean indigenous people) who was often involved in struggles with the French in the 1700’s. Worth a look, and just a few miles south of the hotel. On August Monday Public Holiday this beach is packed with Grenadians playing cricket. During the rest of the year it’s fairly quiet. The beach usually has a couple of fishing boats parked up on it, and if you walk over to the far left you can climb steps to go up to a road that will take you along to another excellent beach. Another white sand beach that you shouldn’t miss. At the southern end on a Sunday there is an excellent barbecue that is highly recommended. You’ll also find some shade from almond trees. Located close to SGU (medical university in the south), this beach is very, very pretty. It’s also positioned very close to Prickly Bay marina where you’ll be able to try out some of the bars and cafes. Although this beach is not easy to access without a boat or a swim, it’s well worth the effort. It’s absolutely beautiful. Be sure to do your best to see it before you leave the island. So there we have it. 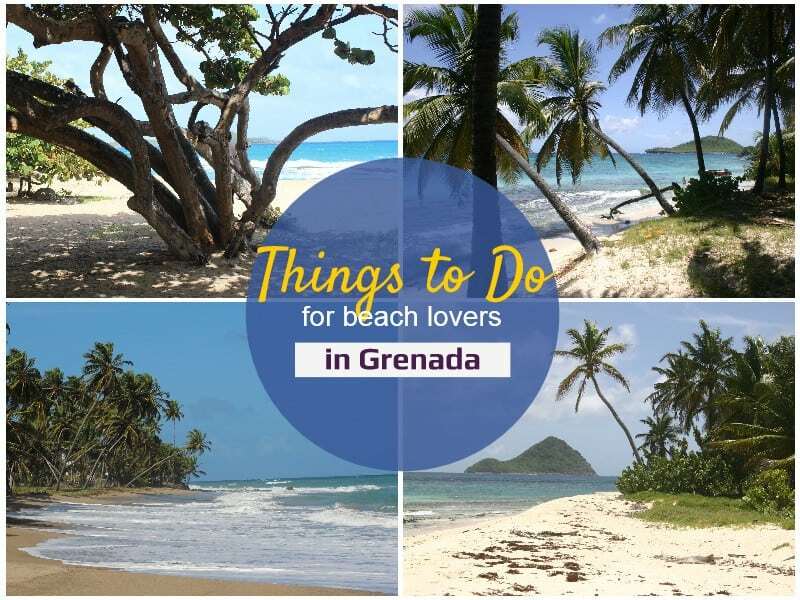 The best of Grenada’s beaches. But before you head out, be sure to do what the Australian’s call – ‘slip, slap, slop’. Slip on a shirt, slap on a hat and slop on your sun protective cream – the sun is fierce and if you’re not careful, he’s going to want to eat you for breakfast, lunch and dinner! Grenada is close to the Equator and that makes the sun very intense. 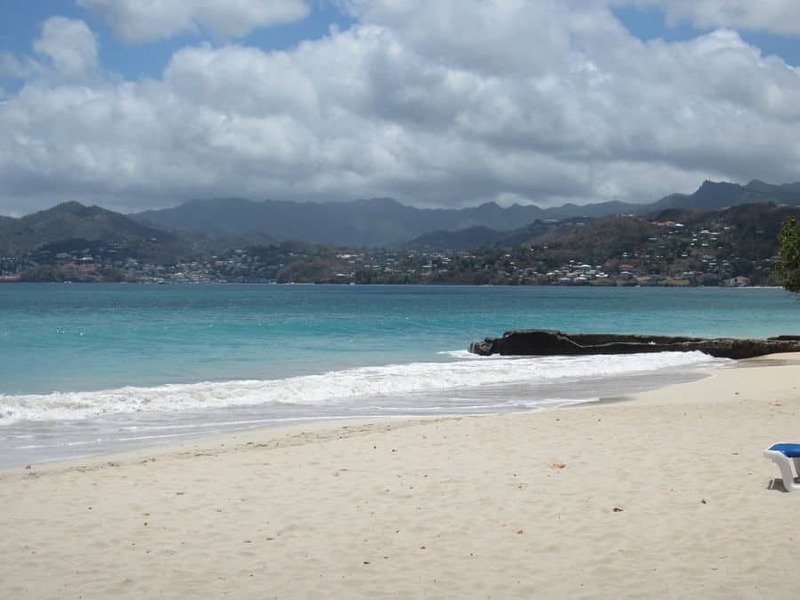 Other than that, have a marvellous time on the beautiful white sand beaches of Grenada!